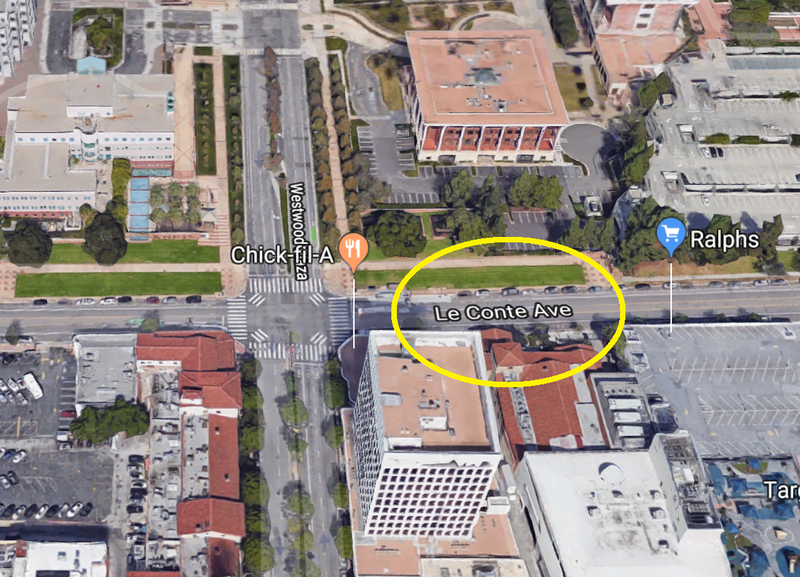 Streets such as Le Conte and Hilgard were named after prominent UC (Berkeley) faculty when UCLA moved to Westwood. 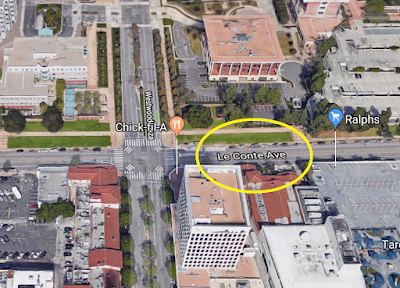 Street name changes presumably would be within the authority of the City of LA, not the university. Although the Le Conte name has become an issue at UC-Berkeley, it hasn't been a concern (yet) at UCLA.